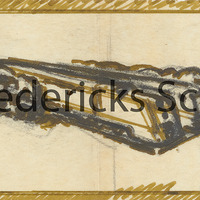 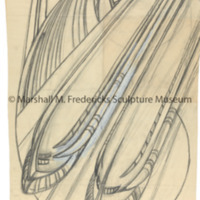 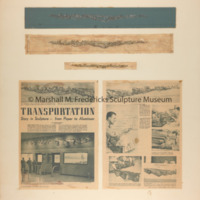 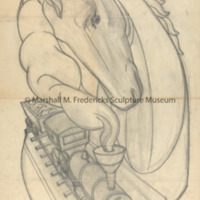 Sketch for "Horse and Antique Trains" for "The Romance of Transportation"
Sketch for "Modern Trains" from "The Romance of Transportation"
Transportation by Man (Jets), plaster mold with iron rods,and galvanized pipe. 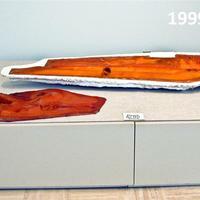 Mold is stained from the shellac used to seal the mold. 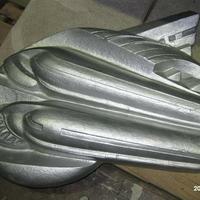 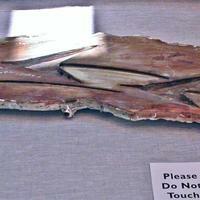 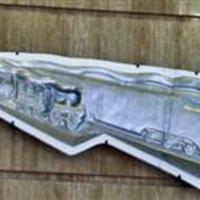 Romance of Transportation (Biplane) Plaster mother mold with rubber inner mold, and galvanized pipe. 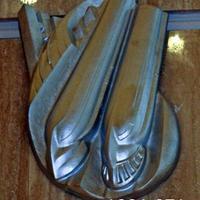 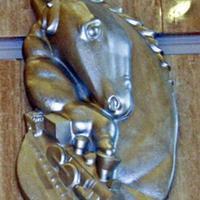 Romance of Transportation (Covered Wagons), rubber mold.